Add a touch of art deco glamour. 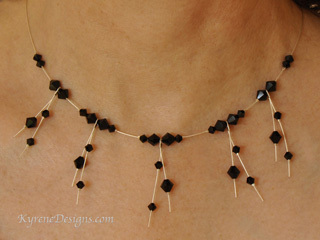 Another design for all of you who love their Kyrene floating necklaces! 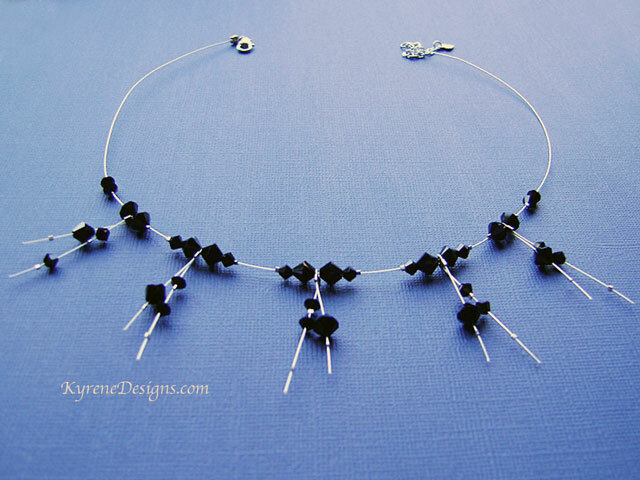 Unusual fringe style 'icicle' necklace made with jet black CRYSTALLIZEDTM - Swarovski Elements and sterling silver.